SEO is an ongoing process and not something you do for awhile and quit after you’ve achieved your ranking goals. It’s like having a baby which you have to nuture, spend a lot of time with and requires a lot of attention. Google likes fresh original content on a regular basis and many websites have been knocked down from page one of Google searches due to complacency and not keeping it updated with new engaging content so visitors keep returning to your site as well as new visitors. Visitors to your site may have a short attention span so embedded videos and pics engage more efficiently than text alone. 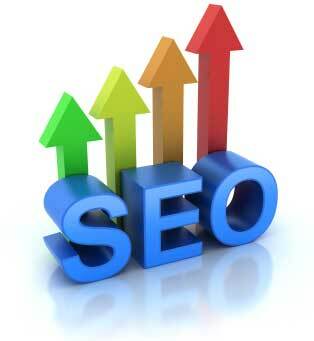 SEO professionals can be quite expensive mainly due to the amount of time involved implementing this process. Another method which is quick but expensive is to buy Google Adwords, however, if your targeted keywords are very competitive, you can spend thousands in a short period of time. This article will go over the steps you should take to achieve excellent organic SERP (search engine results page). Before implementing an off page SEO campaign, I recommend performing an on page SEO which basically insures your website is optimized with your targeted keywords in the correct places. If the keywords you wish to use are highly competitive, I recommend using long tail keywords. One important thing to keep in mind is different pages should have different keyword targets and the page.html name should contain this targeted keyword along with the city and state if you are a local business. As mentioned before, Google likes original fresh content so keep your site updated on a regular basis and try to have around 300 to 500 words per page with embedded videos which engages visitors more and reduces your page bounce rate. Site structure with easy navigation is important to give visitors a pleasant experience making it easy to find what they are looking for. Check for broken infrastructure links as Google will pickup on this when your site is crawled by Googlebot. Applying for a free Google Webmasters account is extremely important in order to view analytics and statistics about your website. In the analytics section you can generate Google html tracking code which is placed in the head section of your web page.